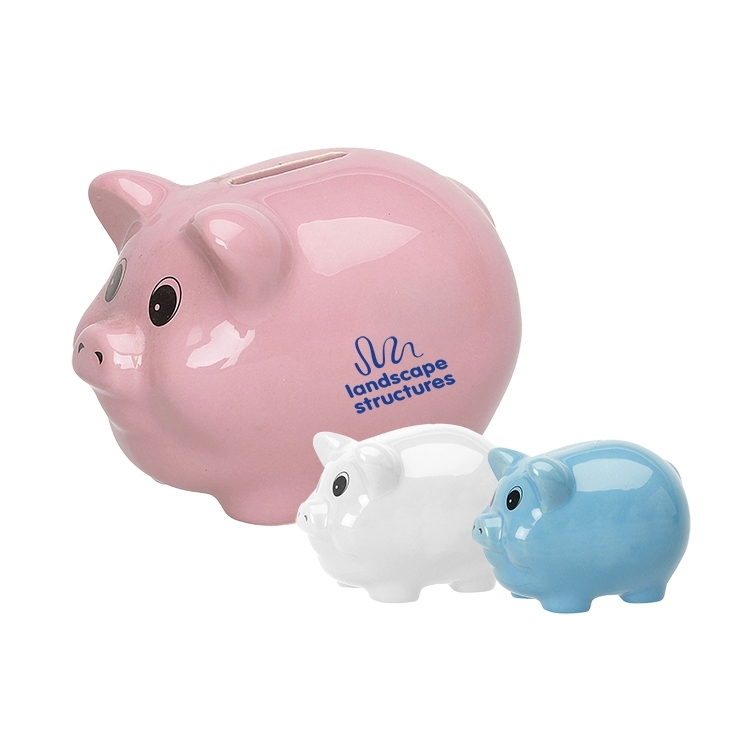 These piggy banks are perfect for holding loose change. These are an attractive choice for you to print your promotional message or company logo. The fun promotional gift is ideal for your groups or financial institutions. 3-5 working days after all approvals. Price includes one color/one location imprint. $6.25(g) per order, for quantities that are not full case pack. (quantity of carton) units per carton.